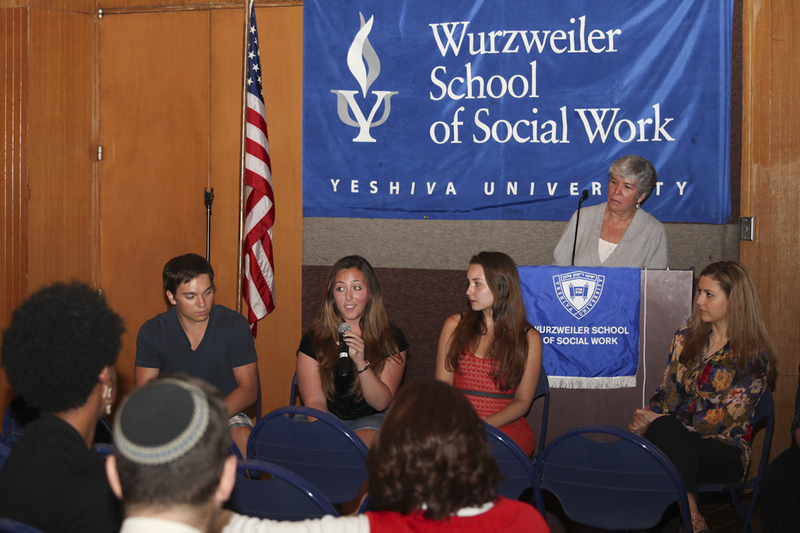 With reports of young suicides linked to bullying on the rise and recent New York legislation obligating schools to investigate cyberbullying, Yeshiva University’s Wurzweiler School of Social Work hosted an advance screening of “Bullycam: The Video Diary of Kelly Wilson,” a feature film from the perspective of a bullied high school student, on July 9. "Bullycam" cast and crew take questions from the audience. Nearly 100 people from across the New York area came together on the Wilf Campus to see the film, which was presented in collaboration with the Museum of Tolerance New York. “Bullycam” is a fictional narrative which purports to be the camcorder diary of Kelly Wilson, a teenager seeking to expose the bullies who torment her by capturing their abuse on video with the help of her best friend. The film is the feature debut of New York City filmmakers Brian Sizensky, Mike Marshall and Vera Hadzi, and has won awards at the Metropolitan Film Festival, NYC Independent Film Festival and the Buffalo/Niagra Film Festival. It has not yet been released to theaters. 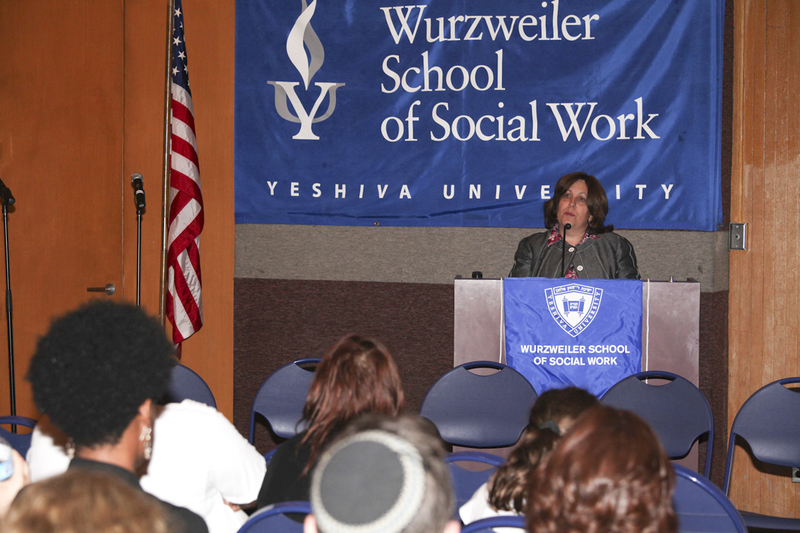 The screening was prefaced by remarks from bullying expert Dr. Rona Novick, director of the Fanya Gottesfeld Heller Division of Doctoral Studies at YU’s Azrieli Graduate School of Jewish Education and Administration and a senior fellow at YU’s Institute for University-School Partnership, as well as a creator of the BRAVE: Bullying Reduction and Social Leadership Development Program. Novick spoke about her research in the field and the way bullying has evolved in recent decades to encompass a wider age range and more physical and emotional torment in girls and boys, as well as new forms of abuse, such as cyberbullying. Bullying expert, Dr. Rona Novick, introduced the film. The screening was followed by an emotional question-and-answer session with the film’s director, writers and cast members, who touched on “Bullycam’s” inspiration and style as well as their hopes for the project, and shared a few things they had learned about bullying in making the film. Audience members also shared their own painful tales of hurt and tragedy, and wondered together how to fight the phenomenon in schools.